That covers the basics of kitchen recycling but what about the bigger items you would like to get rid of around the house like a mattress, refrigerator, television or other bulky objects. There are recycling drop offs around the city for most of those items but you have to do all the work. That means renting a truck, loading the item, driving to the drop off and having a crew to unload. A much better way is to hire Junk King Salt Lake City. These junk removal pros have been making recycling drop offs ever since they began operations in Salt Lake City. 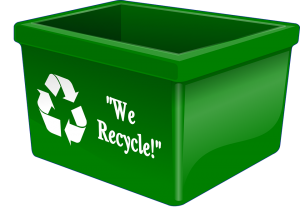 Recycling doesn’t have to be a hassle when Junk King Salt Lake City is in charge. This entry was posted in Salt Lake City Junk Recycling, Salt Lake City Junk Removal and tagged junk recycling, recycling, unk removal on November 30, 2017 by Junk King. Last updated December 3, 2017 .